What Your Favorite Social Site Says About You! 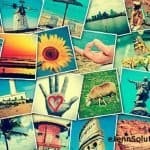 Home » What Your Favorite Social Site Says About You! For a little fun today – I thought I would share with you an infographic created by digital information world called – What your favorite social site says about you! So, think about the site you use and gravitate to the most and read the following infographic below!